Perhaps you cruise into the harbor at Betsie Bay, where the Betsie River flows into Lake Michigan, and know its communities of Frankfort and Elberta. Maybe you enjoy drives or walks to either town’s spectacular beach for summer’s sun, winter’s own marvels, or year-around sunsets. You may like to walk the long breakwaters that form the harbor’s entrance, or join its fishermen. Whether you reside here or just visit, knowing the past of this much-loved place will enhance your appreciation of these experiences. Schooners, passenger steamers, railroad ferries, fish tugs and all sorts of pleasure craft have sailed in and out of this sanctuary off the “Big Lake,” protected and served by its piers and by dedicated lightkeepers and life-savers. On land traditionally known as “the island” is a vibrant cultural center in a dramatically re-purposed old Coast Guard station. 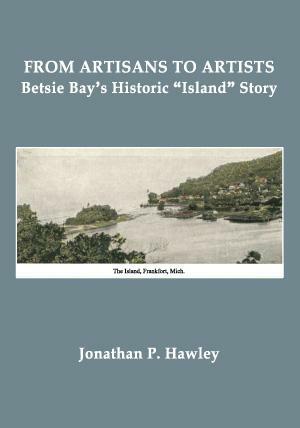 This is the multi-faceted story of Betsie Bay, its artisans and artists.